The Dirty Gems began as a trio in 2007 with singer Raycee, bassist Ulises, and keyboardist Cam. They were members of a small jazz combo during their attendance at Hofstra University. Later, drummer Jack joined the group and they transitioned into a cover band called Pump Yo Brakes. They began to write original songs after graduating in 2010. The four-piece group furthered their music endeavor, and this led to the addition of songwriter Mills, and guitarist Gary. They returned to Hofstra for a Battle of the Bands in the Fall of 2011, which also happened to be the band’s first public performance. “The incredible response we got at the Battle of the Bands was definitely a turning point where we thought, “Hey, maybe we have something here!” explained Mills. The group won the Battle of the Bands, a moment which quickly led The Dirty Gems to open for artists such as Big Boi, rapper from the Hip-Hop duo Outkast, indie rock band from Seattle, Minus the Bear and New York City rock band, London Souls. 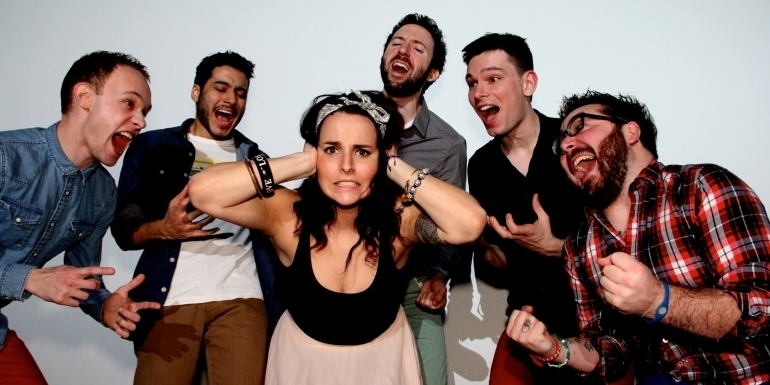 While this start-up band had tremendous success, the kind that might prompt an artist to pursue a record deal aggressively, The Dirty Gems choose to stay atop of their first priority – making great music for a growing audience. I am happy to welcome Mills from The Dirty Gems to a full-length feature interview right here on Music Historian. Although one can argue that a band like The Dirty Gems should first focus on getting signed, Mills emphasizes that a successful group focuses both on their art and entrepreneurship. As I recall a panel I listened to at the New Music Seminar called The A&R Movement: Where is Music Headed? A&R representatives at the panel assert that now, more than ever, musicians need to create a marketing plan and build themselves a fan base. Record labels want to see that the artist has pulled themselves up a lot. In regards to the music, A&R reps will positively affirm that good music rises to the top, and somehow, the labels will find that artist. I wondered how Mills handled criticism like this from industry players and his response has been humble. Additional experiences this band has favored includes representing Queens in the WNYC/WQXR Battle of the Boroughs at The Green Space; the KahBang Music & Arts Festival in Bangor, Maine; The Mountain Jam in Hunter, New York; and opening for Wynonna & The Big Noise at Alive @ Five in Stamford, Connecticut. The best experiences for The Dirty Gems though is really any show where they have been able to move someone with their music. There must be something great in The Dirty Gems’ music for the fans who travel from their office on a hot night last Tuesday, June 10th to see this band perform in the darkened lounge called The Delancey located on the Lower East Side. It’s incredibly comforting see how people come together as couples or in groups, and they have an age range from 25-44, and 45+ and all of them crowd in a space in front of the stage, a space that is small and tight, and provides room only for standing. In short, there was a great turn out for The Dirty Gems that night, and even the performance organizer for The Delancey, who was also part of the New Music Seminar staff, James Birkenholz, mentioned a handful of customers quickly filled up the performance space for their show. 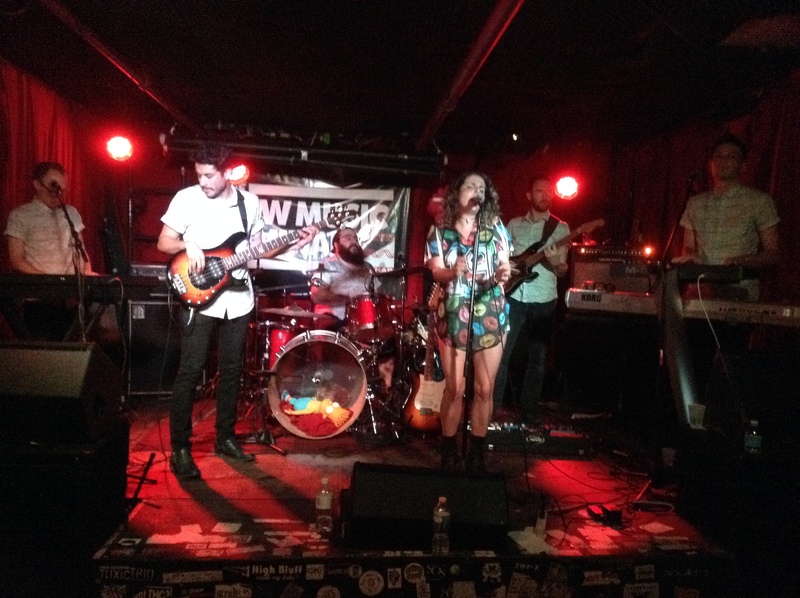 On The Dirty Gems’ Twitter page, fans have Tweeted “Watching The Dirty Gems kill it at the Delancey for the New Music Seminar showcase, great job.” A few days later, the President of Imagine Music LLC Tweeted, “The Dirty Gems is the best new band I have seen for some time. Look and listen here” and concluded his message with a link to their Bandcamp website. The popular single from Vuja De “Easy on Me” includes a very lucid and consistent vocal melody, with a slow tempo, sung by Raycee – a melody that is in a major key, and includes accidentals, almost making it sound like she is singing in both major and minor. In addition, the lyrics are simple and beautiful – I would fight all the mighty seas/ just to have you next to me/ cause you make it easy/ I would run across all the most dangerous miles/ Just to feel you smile/ because you make it easy. Although the above lyrics are just to the verse, this enables Raycee to add many bends and trills in her singing, a style of singing that is very closely associated with the soul genre. The rock in this music is heard within the few tin-like and rough notes by the guitar. The pop lies within the driving rhythm of the drums. In addition the amalgam of musical influences that make their sound too diverse to fit one category; part of The Dirty Gems’ musical personality comes from Raycee’s voice, which right now, I cannot match to that of any singer I have previously heard. Music videos, self-distributing music online and performing in the Battle of the Bands, opening for bigger artists and playing live as part of festivals and conferences, help The Dirty Gems spread their music to potential new fans and returning fans. The band just released “Insomniac” as their new single. They also plan to spend the summer in the studio writing and recording their next project – a third EP which will include “Insomniac” as a single. Afterwards, the group hopes to play in CMJ 2014 this fall at then SXSW in 2015. As I stated in the beginning, The Dirty Gems act as their own entrepreneurs and artists. In today’s music industry, that is very expected. However, being your own artist and manager has its complications, because these are two separate roles played simultaneously by a single person or group. Thankfully, the musicians within this group don’t get lost in the hustle of all the business. Instead, they make it a priority to focus the most on those who matter the most to their business, their listeners. Mills might be expressing that the real world of the music business is more experimental and less-structured than we are lead to believe. School offers a lot of structure and direction. In the business world though, whether it is in music or any other field, only you can give yourself the right type of structure that will work for you and all you must accomplish. The Dirty Gems have found and secured a structure of doing business that works for them, a roadmap for their own songwriting, and the support of fans who positively receive their music. Whether or not this will provide sufficient reason for their right producer to connect with The Dirty Gems is tough to tell. Nevertheless, the group has an excellent foundation, and great discipline and practices. Like every band looking to make money with their music, these gems might just need a little refining. Aside from that, all the essential pieces for a successful business are in place. This entry was posted in Artist Interview, Band Interview, Independent Music, Music Business, Music Video, Musical Performance, New Music Seminar, New York City, Popular Music, Rock 'n' roll, Self-produced music, Soul and tagged Artists on the Verge, Easy on Me, Hofstra University band, Mills The Dirty Gems, New Music Seminar, Pop - rock - soul, The Dirty Gems, The Dirty Gems at the Delancey, The Dirty Gems Insomniac, The Dirty Gems Twitter, Vuja De, Your Name Here. Bookmark the permalink.